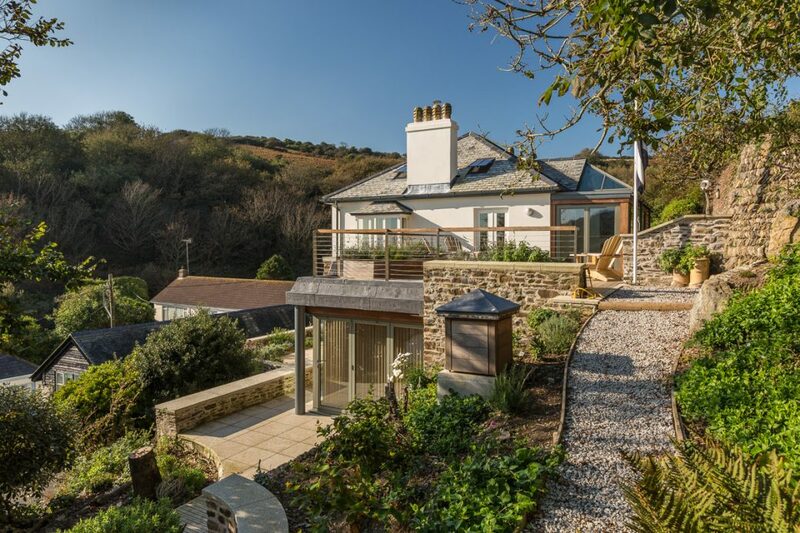 This scheme repairs and reinstates the plain and simple traditional qualities that St. Petroc has lost through neglect and conversion to flats and inappropriate extensions. This involved the demolition of the two storey 20th C flat roofed East wing and reinstatement of the original East façade to recreate the villa’s symmetry and form, an earthbound single storey East wing has been excavated into the site with a heavily planted roof garden as an extension of the garden beyond and above. It provides discreet, additional bedroom accommodation. 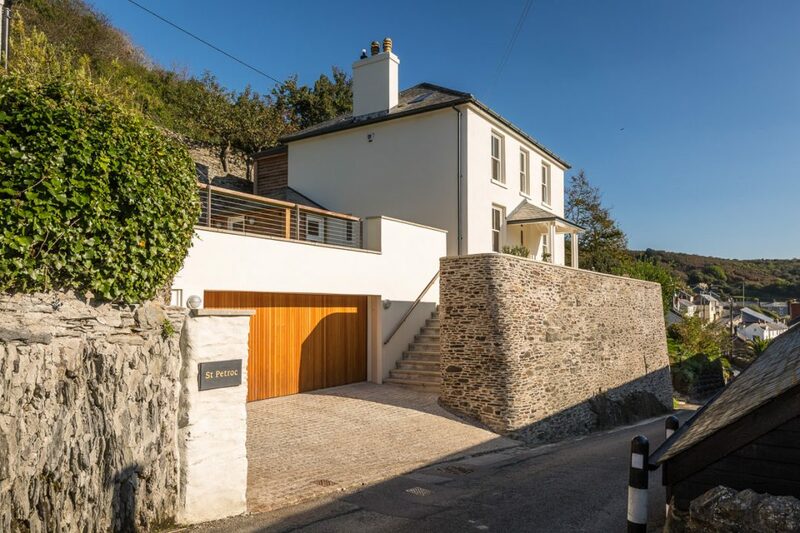 An existing modern single garage was removed and replaced with an enlarged double garage excavated at a lower level to provide adequate covered parking and a safe forecourt much needed in Portloe. 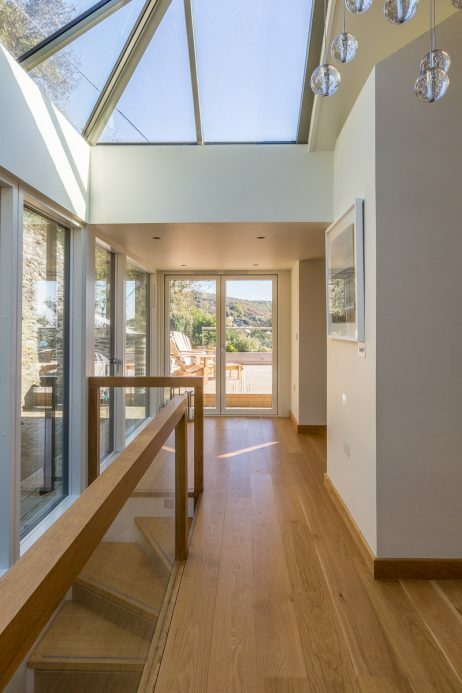 The building is also designed to have a lawned roof so that the areas of hard paving and roofs at this level are practically and visually minimised. The dark and disused space between the North of the house and the high stone retaining walls are incorporated into the scheme to create service space on both levels and a new two storey main stair with glazed roof which allows light to enter on all levels through the house. 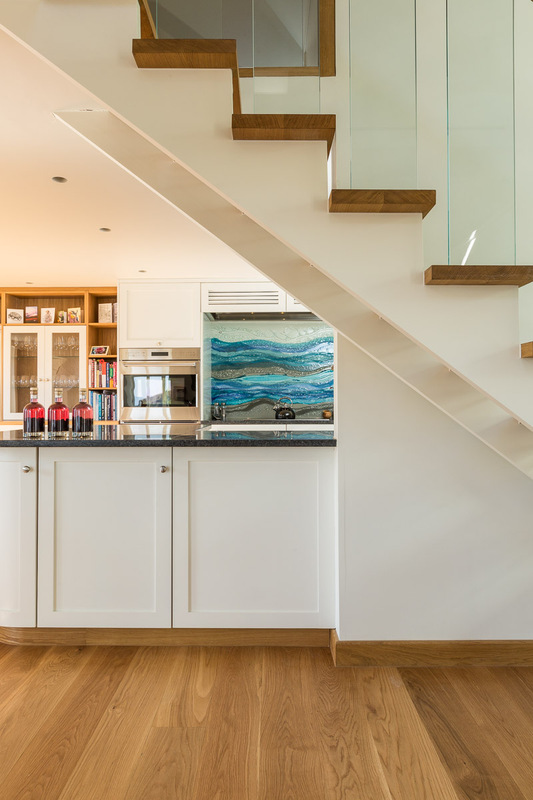 It also forms a link between the first floor living and kitchen area with the existing stone ramped path forming a natural link to the formerly inaccessible and lost upper garden. The bulk of these fine retaining walls and ramp are integrated into the scheme. 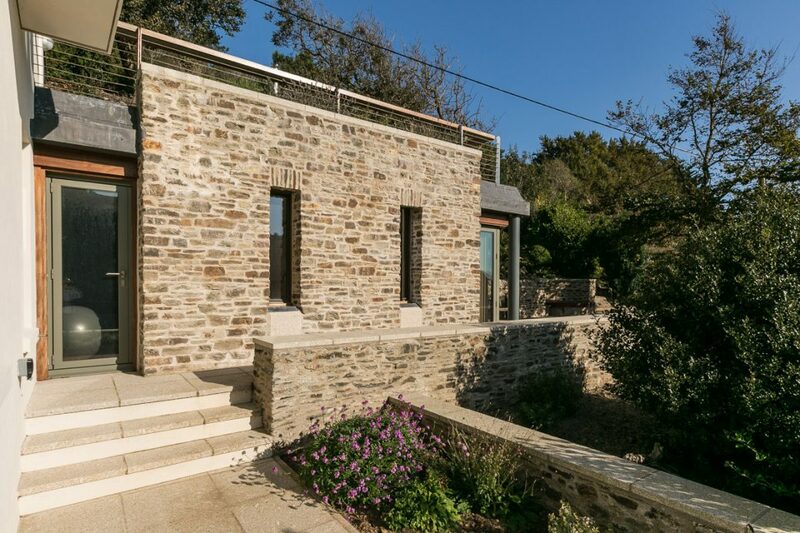 The principal objective was to reintegrate St Petroc into its landscape and village setting, to use landscaping and planting to merge the building into the hill side from its distant coastal path views, and to re-plan and open up the house and its site to optimise the most intriguing views of the sea, the Cornish harbour and dramatic topography.